Added 4 months, 3 weeks ago. We will be posting all orders (if physically possible!) recieved before our last day (20th December) before we leave for our break. 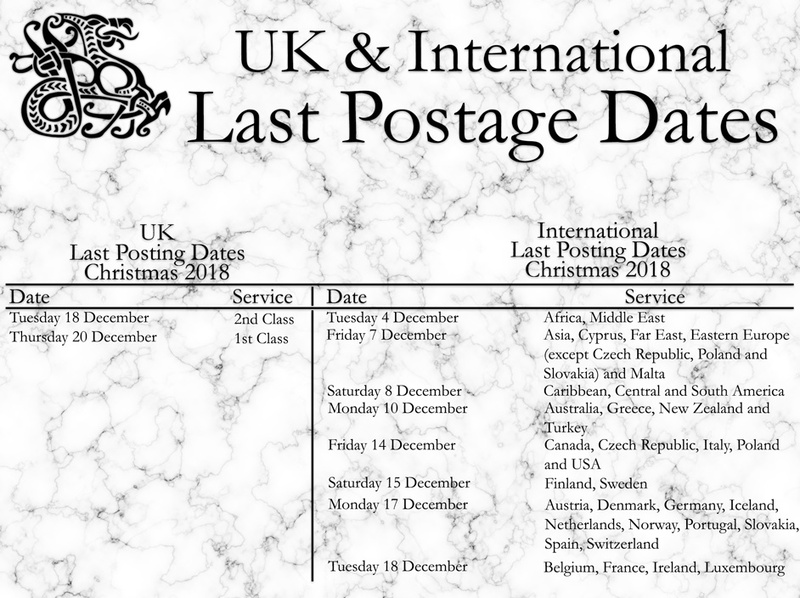 While we are away, the website will be open to take orders and we will crack on with them as soon as we are back in (3rd January 2019). If it's not too early, Yuletide Felicitations to you all!